Ralph J. Palmer, born in Trapp, Kentucky, is a life-long resident of Clark County. 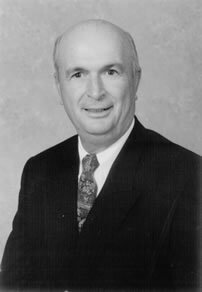 He graduated from the University of Kentucky with a Bachelor of Science degree in Civil Engineering in 1963. As an undergraduate engineering student, he was a member of Triangle Fraternity and attained the rank of Cadet Colonel in the Air Force ROTC. Upon graduation, he was commissioned a Second Lieutenant and entered active duty, serving as Staff Civil Engineer in Madison, Wisconsin (1963-66), and Chief of Engineering and Construction in Kunsan, Korea (1966-67). Upon completion of his active duty service, he returned to Kentucky and began employment with the Kentucky Department of Transportation as an Associate Engineer. Serving as a project engineer for Taylor Engineering in 1968-69, Mr. Palmer managed five survey crews involved in highway projects, designed box culverts, industrial sites and Forest Service roads. Mr. Palmer founded Palmer Engineering in 1969. Under his leadership and guidance as President and CEO, the firm has grown from a small four-person survey firm to a 120-person multi-disciplinary consulting firm with seven offices in five states. The firm provides consulting services in civil, sanitary, environmental, and structural engineering to commercial, industrial, institutional, governmental and private sector clients. Among the firm’s areas of expertise are highway design of streets, arterials, bridges and culverts; traffic engineering; environmental services including aquatic and terrestrial ecosystem analysis; socio-economic and cultural-historical analysis; transportation planning; surveying services; global positioning system surveys; site development; industrial park, commercial, and residential land development; and, 3D and 4D computer-generated visualizations and software development. During Mr. Palmer’s celebrated career, he has distinguished himself as a state and national leader in the promotion of engineering education and the engineering profession. This is demonstrated by his professional memberships in 14 societies, councils, federations and associations including the American Congress on Surveying and Mapping, National Society of Professional Engineers, Kentucky Society of Professional Engineers, Kentucky Association of Professional Surveyors, Kentucky Geological Survey Advisory Board, Kentucky Transportation Center Advisory Board, and the Society of American Military Engineers. His passion for improving the quality of the engineering profession has been seen through his work as a member of the Kentucky State Board of Registration for Professional Engineers and Land Surveyors. His commitment to the engineering profession was culminated with induction into the American Council of Engineering Companies (ACEC) College of Fellows in 1995. The ACEC is an elite group of individuals who have been recognized by their peers as experts in their engineering field. Dedication to engineering education remains a keystone of Mr. Palmer’s quest for engineering excellence. At its Teays Valley, West Virginia branch office, Palmer Engineering participates in the “Power Hour” tutoring for children, the MathCounts competition and even sponsors an Easter egg hunt for local churches and elementary school children. Mr. Palmer is a proponent of offering summer and part-time employment for engineering students, many of whom are hired for fulltime employment upon completion of their engineering degrees. Encouraging student to become engineers has paid off for Palmer Engineering as today approximately 29 of the firm’s engineers are under the age of 35. Mr. Palmer’s enthusiasm and support for staff professional development is well known among his employees, as they are encouraged to become involved in professional societies, attend educational seminars and participate in civic affairs. Each year, the American Society of Civil Engineers (ASCE) recognizes firms across the nation that encourage and support ASCE Younger Member programs and activities. In February 2001, Palmer Engineering learned it was one of a select few firms chosen to receive an ASCE 2000 Employer Recognition Award. In addition to Mr. Palmer’s commitment to the engineering profession, he offers the same level of commitment to his local community. His memberships (past and present) include: UK Engineering Alumni Association Board, Clark County UK Alumni Association, Clark County Health Department Board, Winchester-Clark County Chamber of Commerce Board, Kentucky Bank Board, Central Bank-Winchester Board, Hope Hill Children’s Home Board, First Church of God Winchester, member and board chairman. Mr. Palmer also serves as a director and executive committee member, Mid-America Bible College, Oklahoma City, Oklahoma. Mr. Palmer's first wife, Linda, passed away in 2015. He and his wife, Nan, currently reside in Winchester, Kentucky. Mr. Palmer is the father of three children, Craig, Randy and R.J. and have seven grandchildren. In April 2004 Mr. Palmer was honored by Civil Engineering.